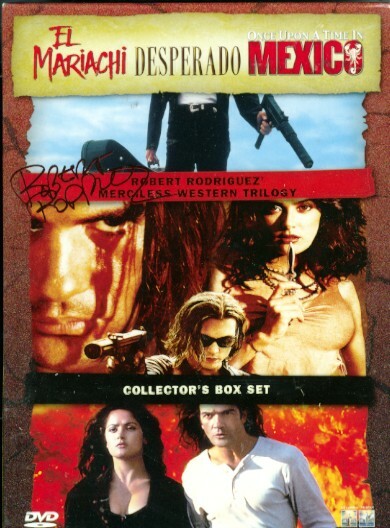 Robert Rodriguez’ Merciless Western Trilogy – El Mariachi/Desperado/Once upon a time in Mexico 3 DVD BOX – Mexicos svar på Sergio Leone – Kultfilm i Collector’s Edition med masser af extramateriale. Antonio Banderas, Selma Hayek, Johnny Depp, Steve Buscemi, Quentin Tarantino, Mickey Rourke, Eva Mendes, Enrique Inglesias, Willam Defoe m.fl. Danske undertexter!